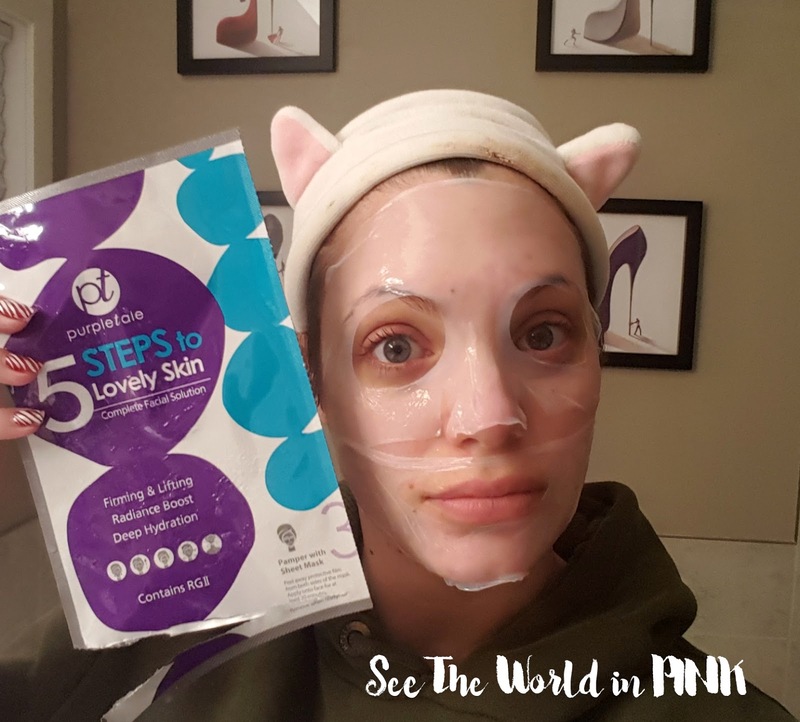 I really enjoy these masks that have a few extra steps along with the sheet mask! These make for a great travelling set or just a fun mini spa night for yourself! Usually these masks only have 3 steps, so I like that this one included a cleanser and a neck cream! 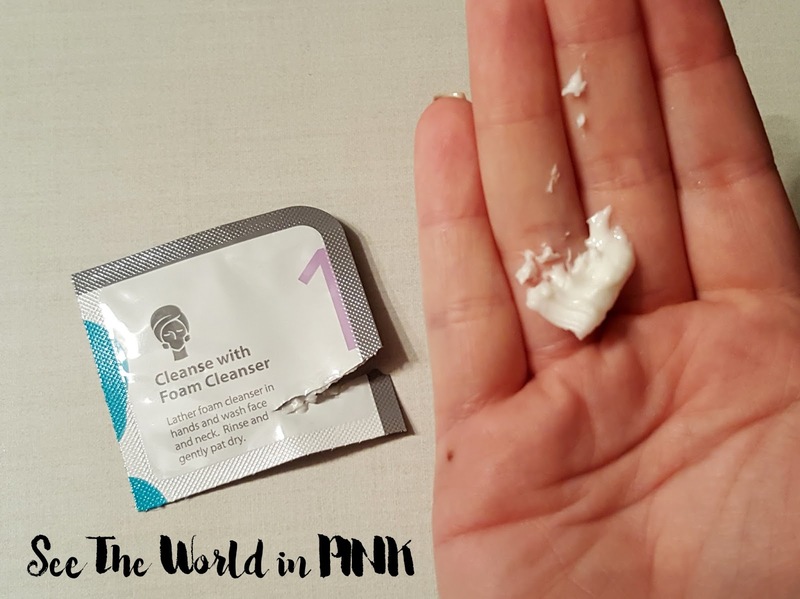 This mask is easy to use - follow the steps! 1) Lather foam cleanser in hands and wash face and neck. Rinse and gently pat dry. 2) Apply a thin layer to face and neck and wait for the product to sink in. 3) Peel away protective film on one side, place the mask on face and then peel away the other protective film. Leave on face for at least 20 minutes. Remove when ready. 4) Dab facial cream on face and apply evenly. 5) Massage neck cream onto neck with an upward motion. Step 2 - Treat with Ampoule. This was a nice, gentle ampoule. There was just enough in this package to put all over your face. It absorbed quickly and worked well! Step 3 - Pamper with Sheet Mask. This was a very thin gel mask - just like the Farmacy masks that I love! 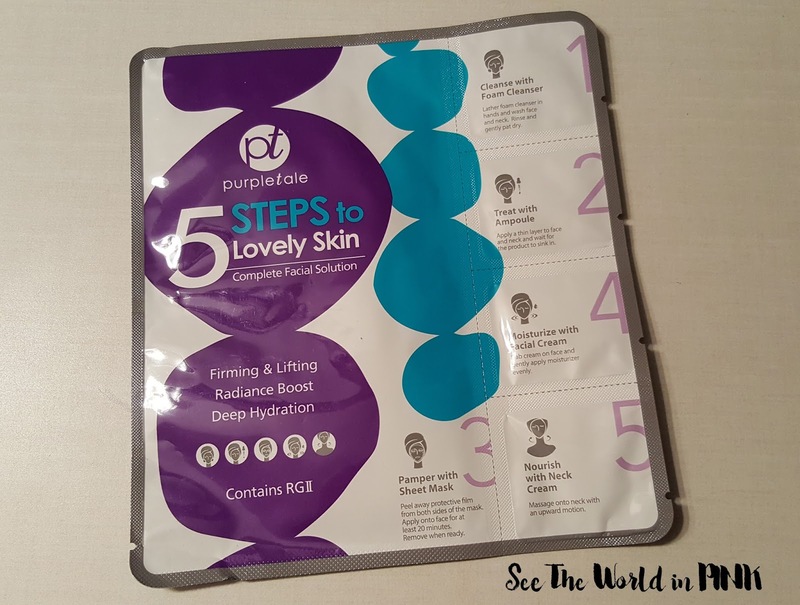 This particular sheet mask was actually really hard to unfold and apply to the face. It got stuck to the packaging and ripped and blah. Once it got on my face, it was good - it lasted for about 20 minutes before everything absorbed in to my skin. 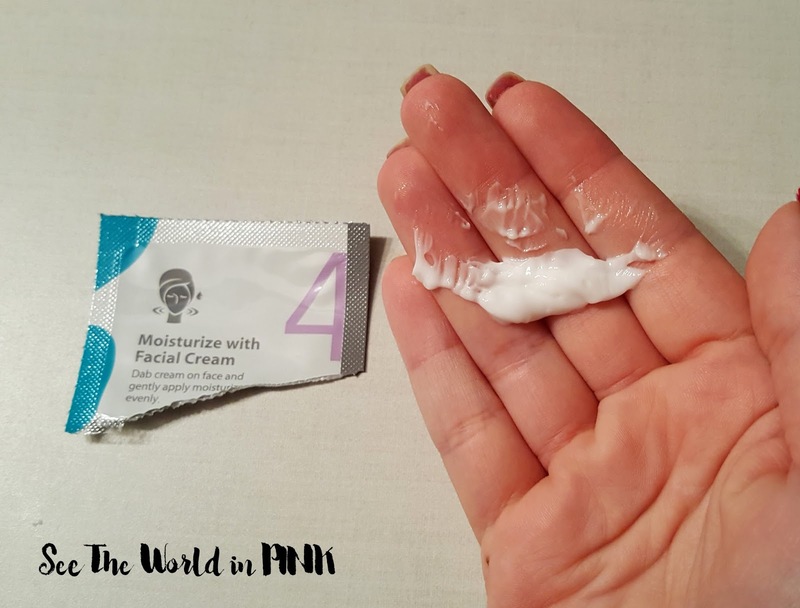 Step 4 - Moisturize with Facial Cream. This was a really rich moisturizer - there was plenty of cream to massage in to my entire face and it actually was a really good cream! 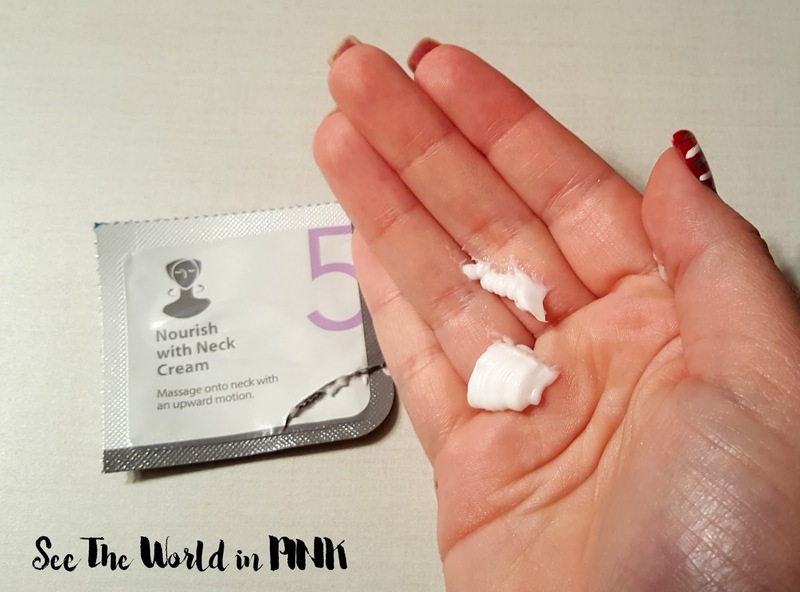 Step 5 - Nourish with Neck Cream. This was an even thicker cream than the moisturizer - I really liked that this set included a neck cream. This can definitely be a part in my skincare routine that I often overlook, so I was happy to remember this step! Overall, I did enjoy this mask and all 5 steps of this mask! I actually didn't think the sheet mask was the best part of this set. I really did want to love this mask - I enjoy the thin gel mask texture that this mask had, but this one just didn't live up to my expectations. I was happiest with the moisturizer and neck cream. This would still a fun mask to use as part of a spa night or travel set!